Since 2013 significant work has been carried out on the grounds in order to have international competitions over like the European Senior Tour. 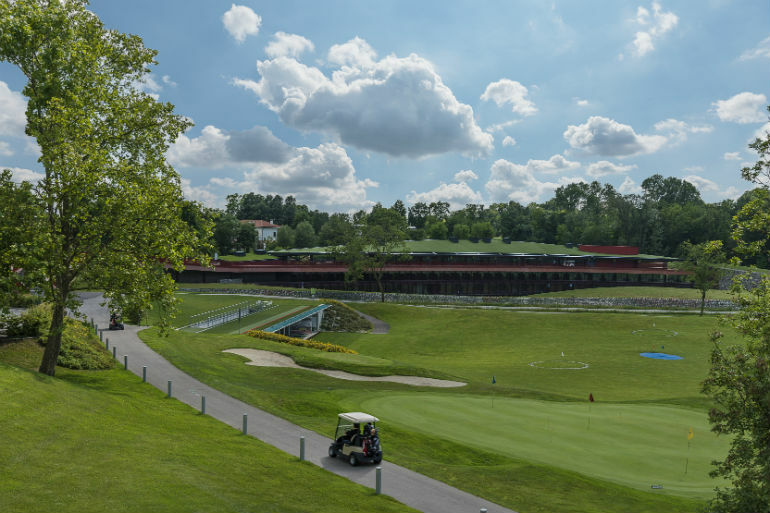 Protected by centuries-old oak trees, the light shade of wild cherry and alder trees, the course follows the curves of the hills, treating players to some majestic views. All the holes of the course require the player to concentrate because no-one will find them easy. The greens are generally well defended by treacherous bunkers. Currently, the competition course is a Par 72. Technically challenging, it covers a length of 7,000 metres, following the contours of the morainic hills where it is located. Within the golf course 3 different fitness trails are available: the green one with 1.3 km, the blue one with 2.5 km and the red one with 5.4 km. The area stretches out over 33,000 square meters in which two distinct structures should be noted: one dedicated to the long drive and one to the short game. The building for the long drives has two floors with 10 bays on the covered ground floor and just as many bays on the grass. The bays are illuminated and there is an enclosed area reserved for the simulator. Upstairs there are 13 synthetic grass bays. The facility is equipped with toilets, ball distributors and parking spaces for golf carts. In addition there is another area joined by connecting roads that allow the presence of 35 players simultaneously. The area dedicated to the short game spreads out over an area of more than 3000 square meters; it is characterized instead for the presence of two putting greens respectfully of 250 and 500 square meters, of a pitching-chipping green area and bunkers for practicing short, medium and long shots. All stalls with Target Greens at 50/100/150/200 metres. Practice bunkers both for the short game and the long game. With frist class lodging and gastronomic offerings, modern state-of-the-art facilities, performance experts and port-medical support, VIP allows golfers o all abilities to train like Tour Professionals, bringing theri technical skills, physical abilities, course management and overall golf knowledge to the next level. 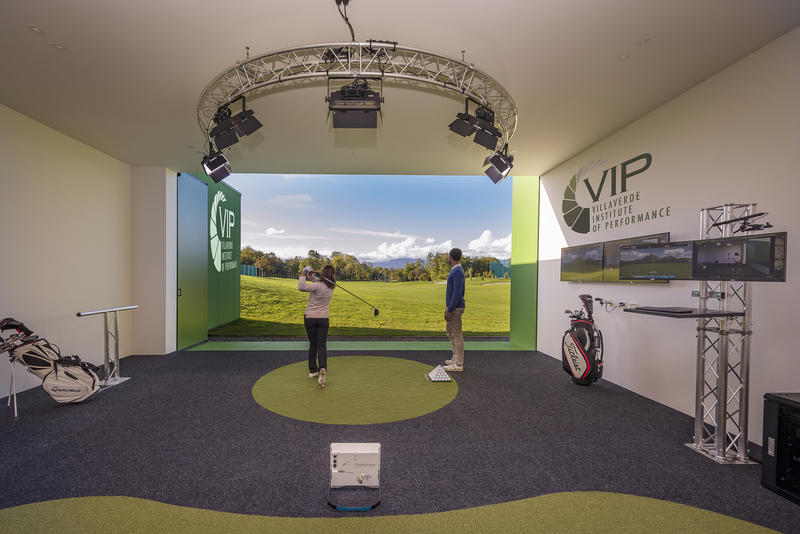 VIP was created for individuals and groups, but particularly for PGA Professionals who wish to bring their clients to the ultimate golf training experience. The Superintendent is responsible for the Course and its constant and perfect maintenance, with the assistance of the staff of Green Keepers. Mauro Mantovani is the Superintendent of Udine Golf Club, where he has worked since 1992. His career has always been in Golf. His grandfather, father and five uncles were pros before him. A family dedicated to the Golf Course. Luca Biasizzo,Guerrino Federico, Pierino Melchior, Mauro Mantovani, Gianni Merlo, Ivan Pividori, Daniele Vicedomini.